HORRY COUNTY, SC (WMBF) – Crews are on the scene of a serious crash at S.C. 544 and West Cox Ferry Road. Video from the scene shows a red SUV flipped on it’s side with the roof cut off. 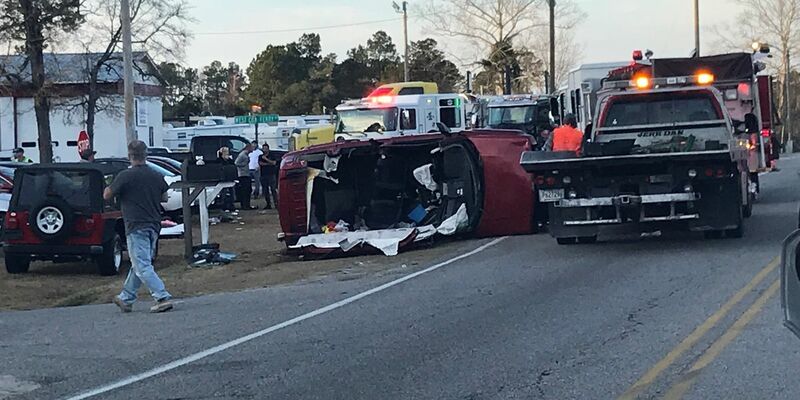 Information from the South Carolina Highway Patrol website states the crash happened at 3:52 p.m. and there are injuries involved. WMBF is reaching out to officials and asking them how the crash happened and how many vehicles were involved in the crash. Drivers are being asked to avoid the area and plan for possible delays. The second victim who died in a crash last week in the Florence County area has been identified.